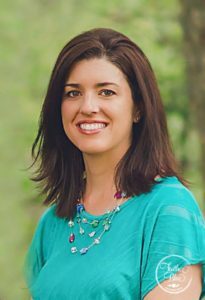 So excited to release the entire Forest Friends Set! This adorable set includes the blanket, pillow and wall hanging. Each piece features the darling animals faces that are resting peacefully. The faces are designed to accent the main detail in the upper face of the animals especially the eyes and ears while the lower outline fades into the stitches of the blanket. 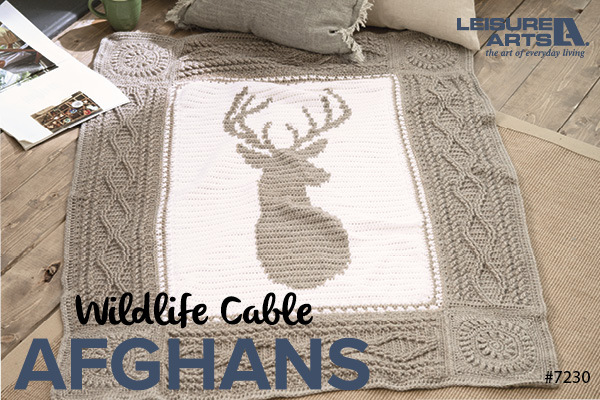 Customize the blanket with all of the same animals or pick one and do them all the same. The pattern includes the instructions for the following animals: Fox (or change to grey colors for a Wolf), Owl, Skunk, Raccoon and Deer. 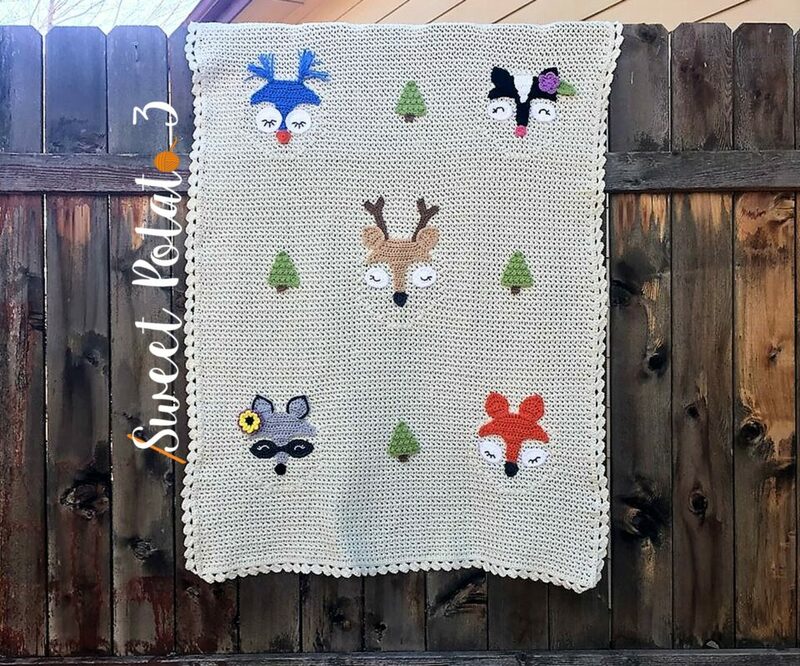 The Forest Friends blanket is larger than a traditional baby blanket. This will allow for the baby to grow into it and use the blanket into childhood or even when they are older. It is even a nice size for me (mom) to wrap up in. 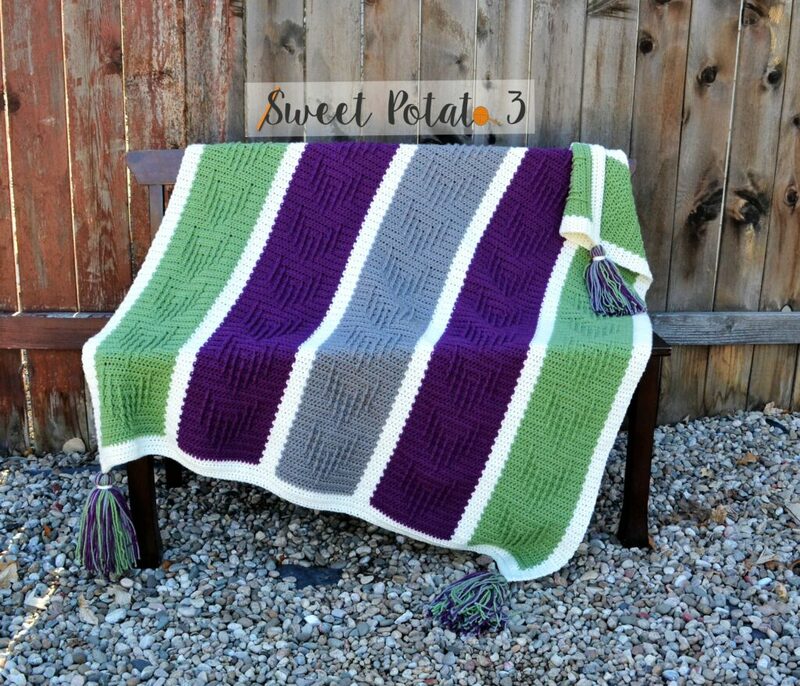 The completed size of the blanket is roughly 38” wide X 54” long. Grab your copy of only the Forest Friends Blanket on Ravelry: HERE or Etsy: HERE. 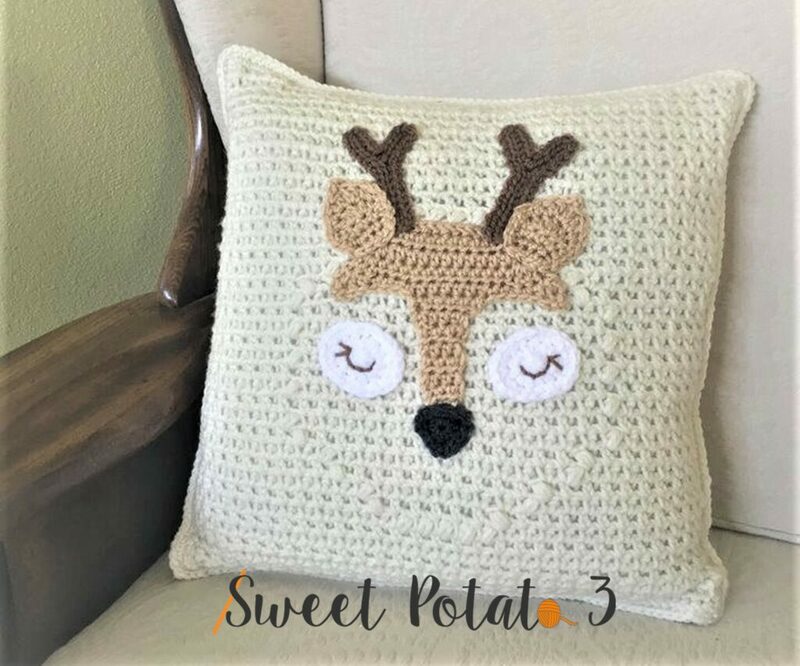 The Forest Friends Pillow is a very cute, fun and quick project that you can add to any home decor. The pillow makes a cute accent piece for nurseries, children’s bedroom, classrooms, reading nooks or even cabins. The pillow is made to fit a traditional accent pillow size of 14X14 inches square. You can grab the pattern for just the pillow on Ravelry: HERE or on Etsy: HERE. 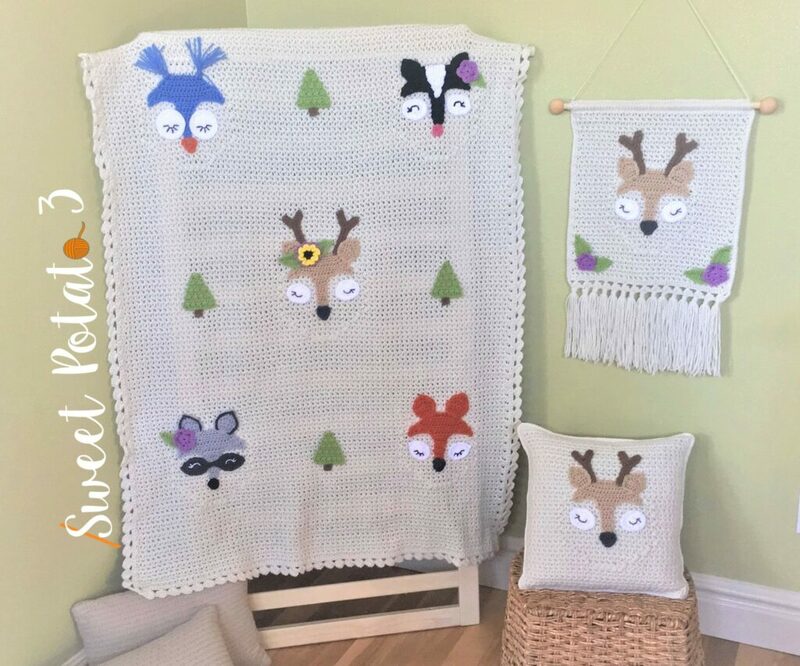 The Forest Friends Wall Hanging is whimsical project that accents the pillow and blanket perfectly. The wall hanging can be made off a wooden rod/dowel, a decorative hanger or find a cute branch out in nature for a earthy look. 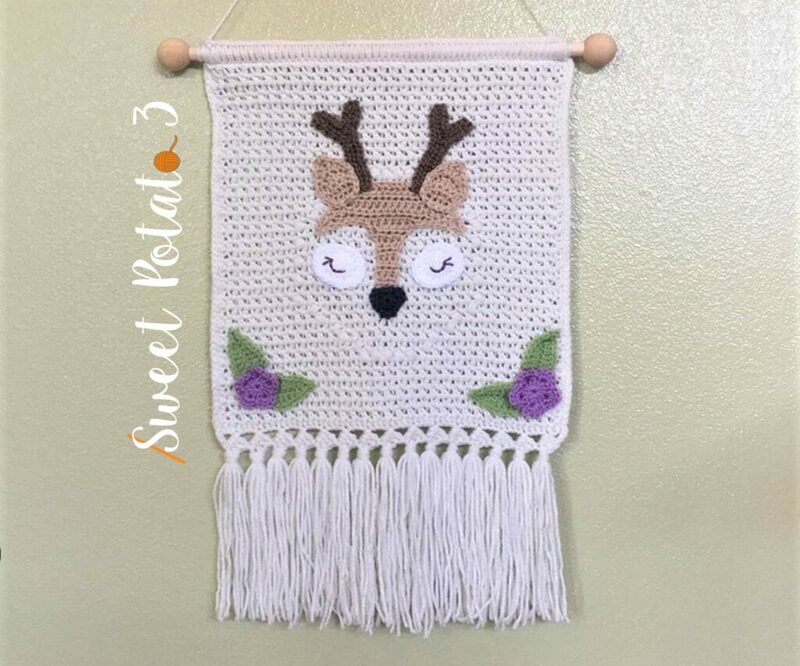 The finished size of the Forest Friends Wall Hanging is about 14-15” wide by 18” long counting the fringe but not the top hanger string. Grab the Forest Friends Wall Hanging pattern on Ravelry: HERE or on Etsy: HERE. 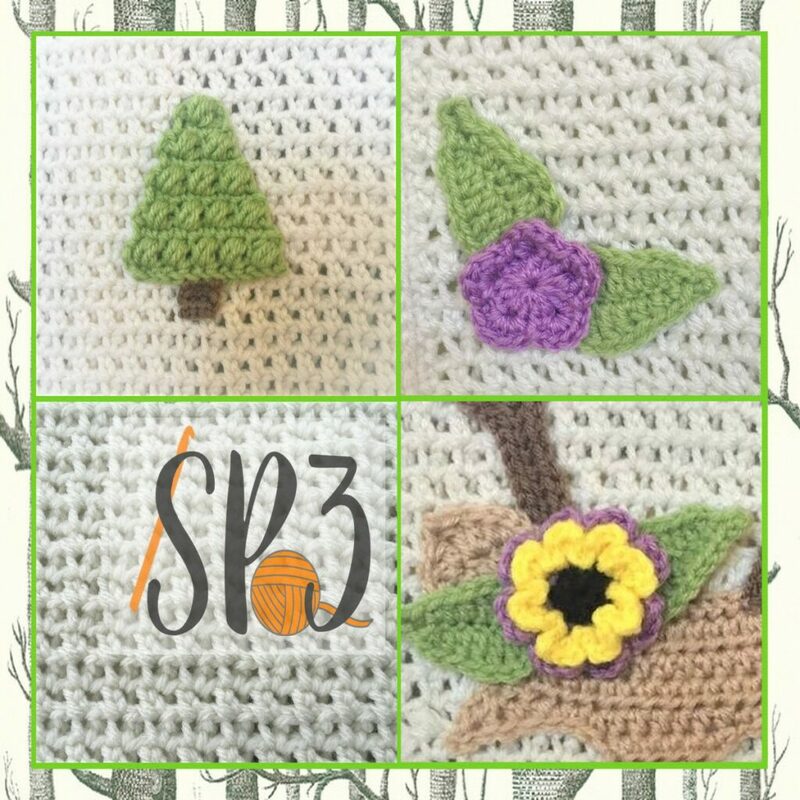 All the coordinating pieces of the Forest Friends Set include instructions for some fun appliques including a small flower, larger flower, a leaf and a fun pine tree. The appliques can be mixed up as much as you like or can be as simple as you like. You will love making the entire Forest Friends Set. 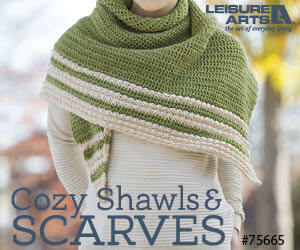 The main stitch in the pattern creates a thin fabric so the blanket is not going to be heavy. And an even bigger bonus is that it works up pretty quick. 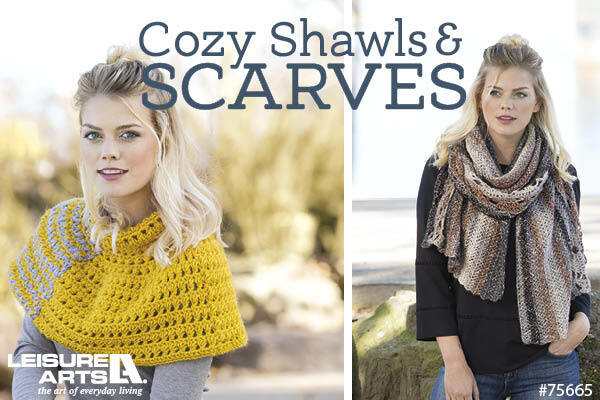 Enjoy making the pieces and please share your progress or finished project with me in my Crochet and Conversations group: HERE. The Chasing Arrows Blankets design adds a modern twist on an old traditional craft. I love the striking design of the repeating arrows grabs your attention. This was a design that was so difficult to photograph. The blanket is so stunning in person but the design just kind of fades in the photos, so I hope you can all envision how lovely this really is. 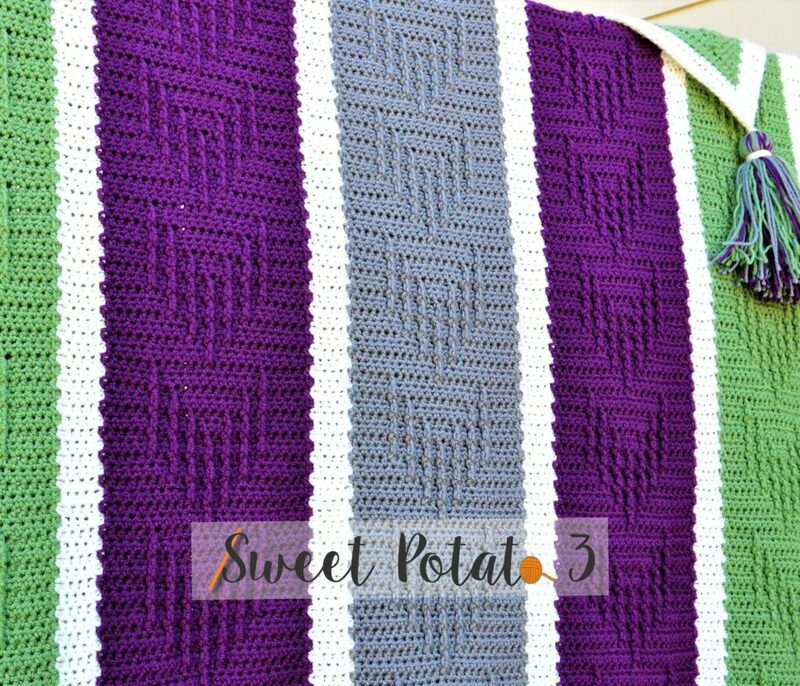 I decided on the colors for my Chasing Arrows sample blanket with all your help in my Crochet and Conversations group (if you are not a member, come join-it’s lots of fun, you can join by clicking HERE). 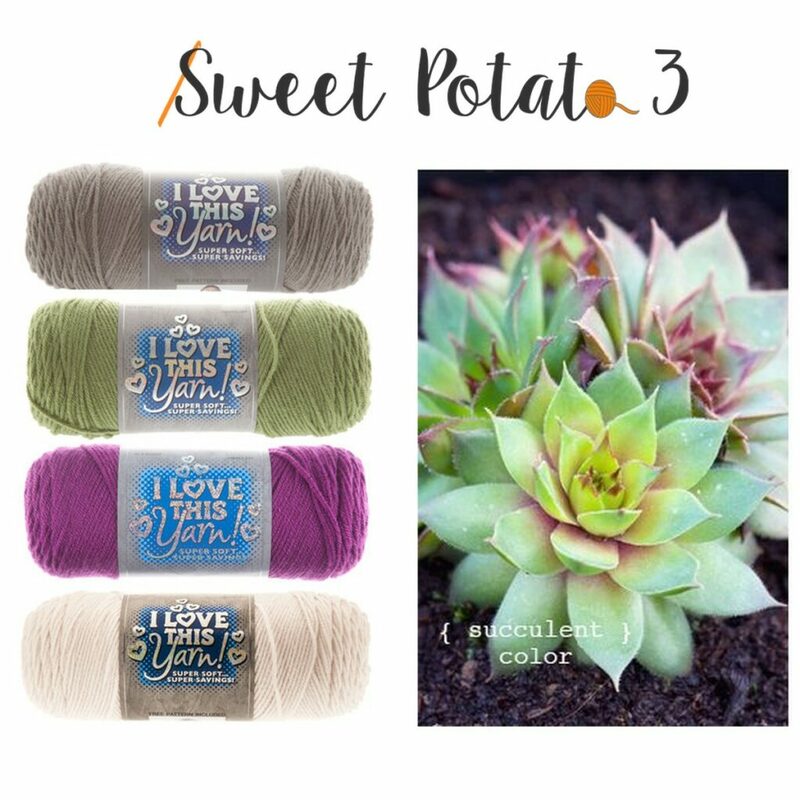 Asking for color inspiration I settled on a succulent photo and then made my selection below. 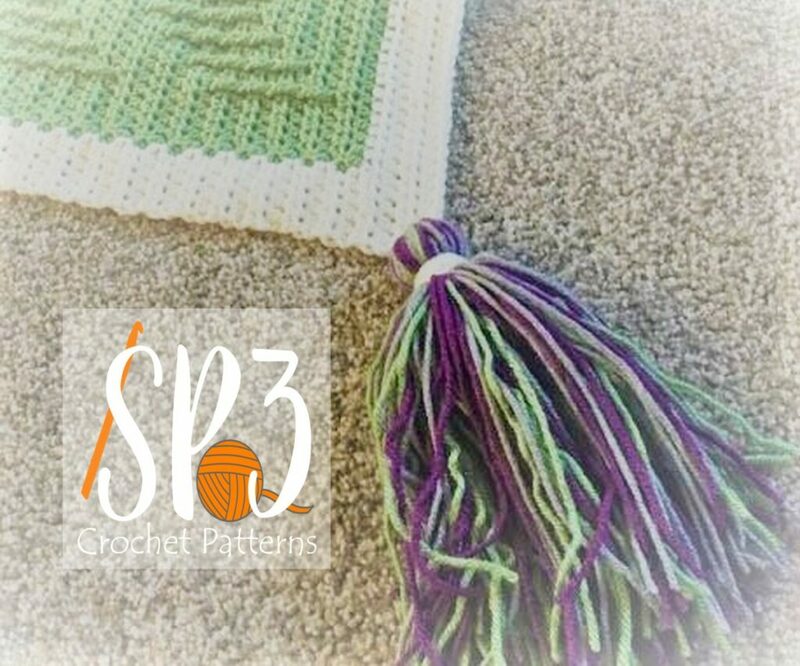 Just think of the colors you would make the Chasing Arrows Blanket in, the colors can really affect what vibe your finished blanket will give off. The Chasing Arrows Blanket has an easy color changing that really helps the details pop because of the stripes that the repeating arrows follow. The blanket has no border!!! 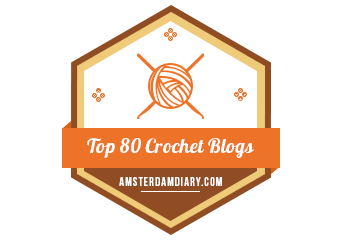 That is right, the simple cream outline is created as you crochet the blanket from the bottom up. 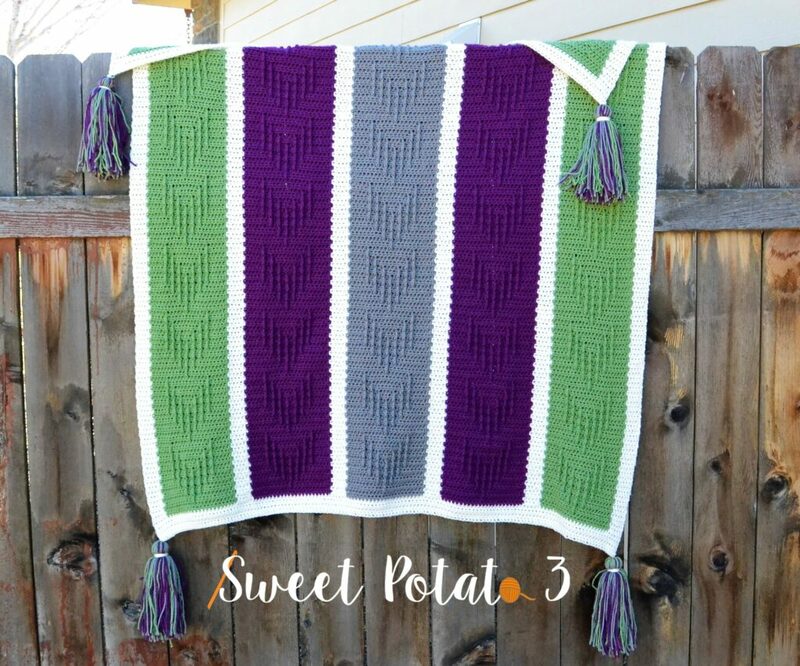 When you are done all you need to do is add Extra Large Tassels to the large throw (which will be about 46” X 58”), and yes, I included a tassel tutorial for any of you that are unfamiliar with making them. 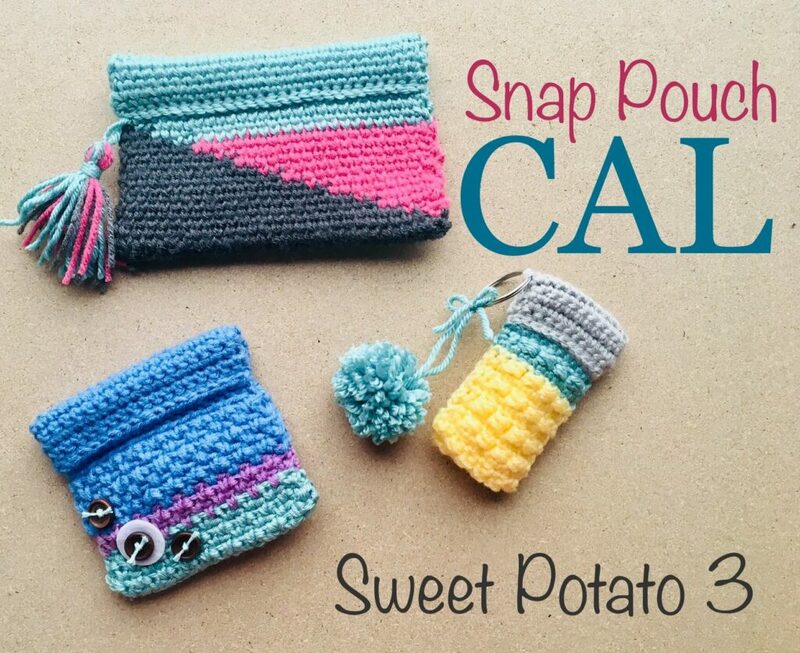 But, watch out, they are addicting and you will want to add tassels to everything! 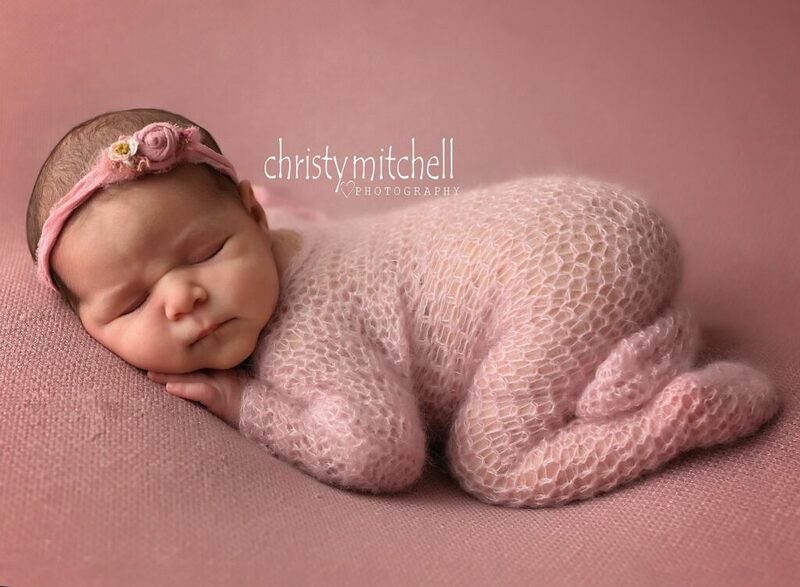 There is nothing sweeter than sleeping babies and I adore the popular trend that photographers are capturing this precious moment. 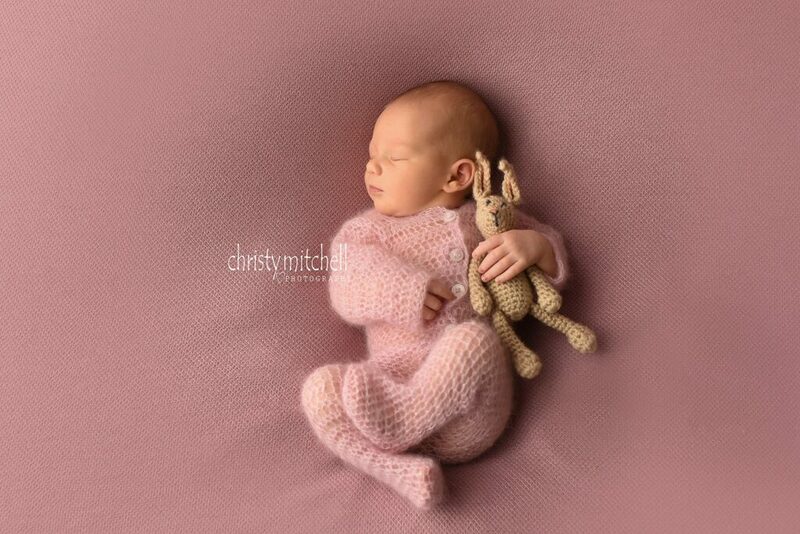 The only thing that can make these babies cuter is a delicate romper, the beautiful texture of a lacey mohair just adds to the snugglyness of this moment. 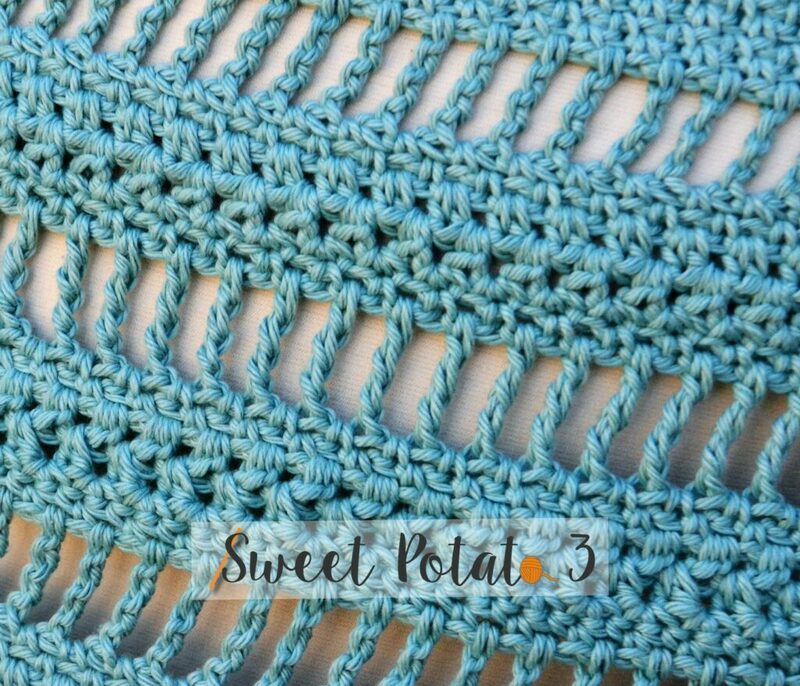 The popular rompers are very difficult to find in a crochet pattern. I designed a Classic Romper at the beginning of the year and it was such a success I decided to design a one in a lacy look and now I get to share the Precious Newborn Romper pattern with all of you. The romper is designed as a photo prop for newborns up to about 2 weeks old and will fits a newborn between 6-12 pounds (newborns in the sample photos are 6 & 8 pounds). 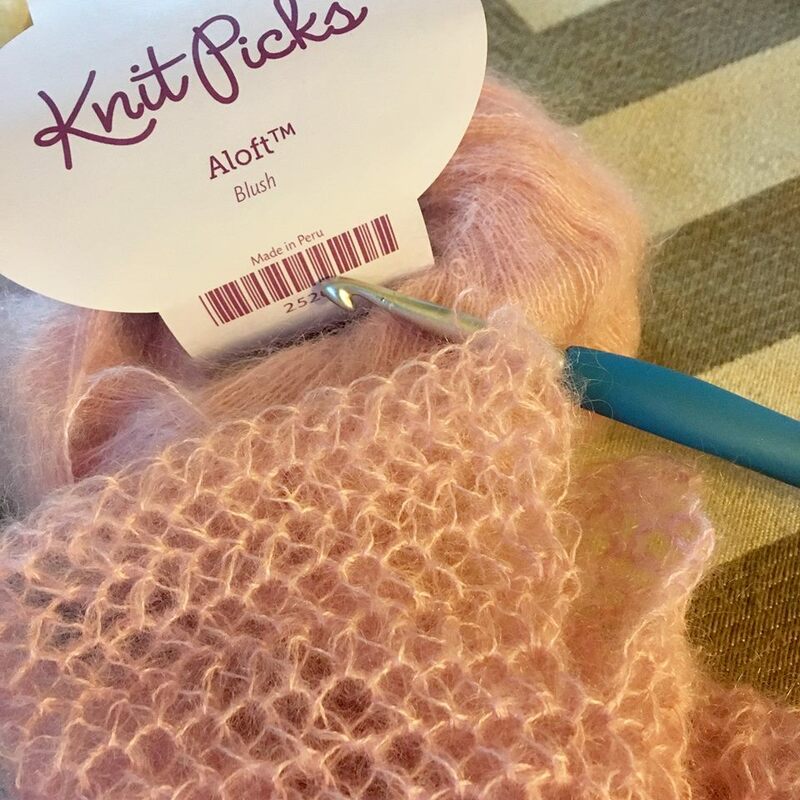 The pattern was made using Knit Picks Aloft yarn but any lacey mohair yarn will work up if you check and match the gauge as you work the romper up (gauge checks are throughout the pattern). 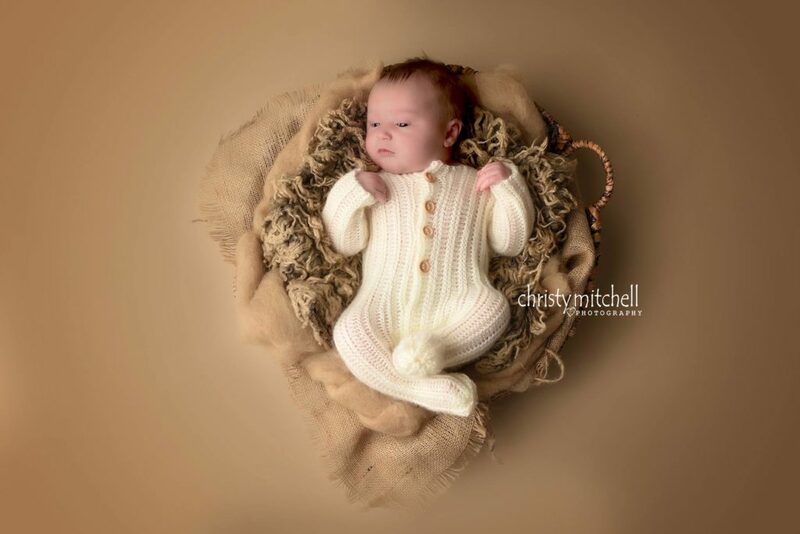 The Precious Newborn Romper is made with less than 1 skein of yarn. The Classic Newborn Romper is also made for newborns, details about the pattern can be found HERE. That’s right! 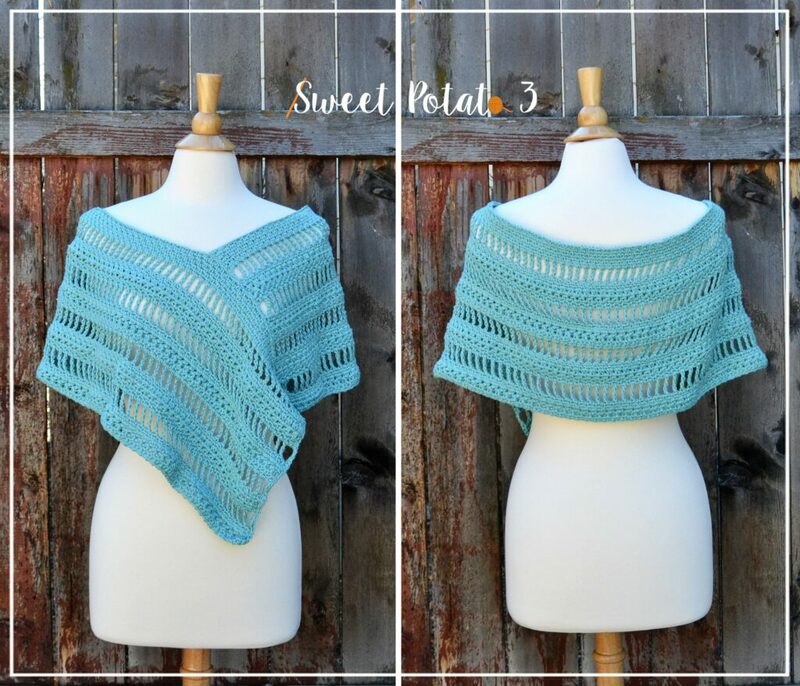 Add 2 or more patterns to your cart from my Ravelry store and you will get 50% off your entire order. 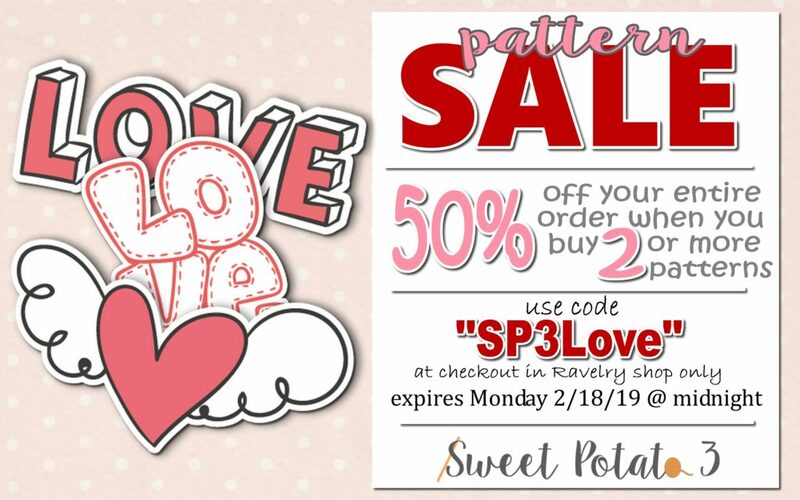 You must use code, “SP3Love” at checkout (please make sure the discount applies, no refunds). 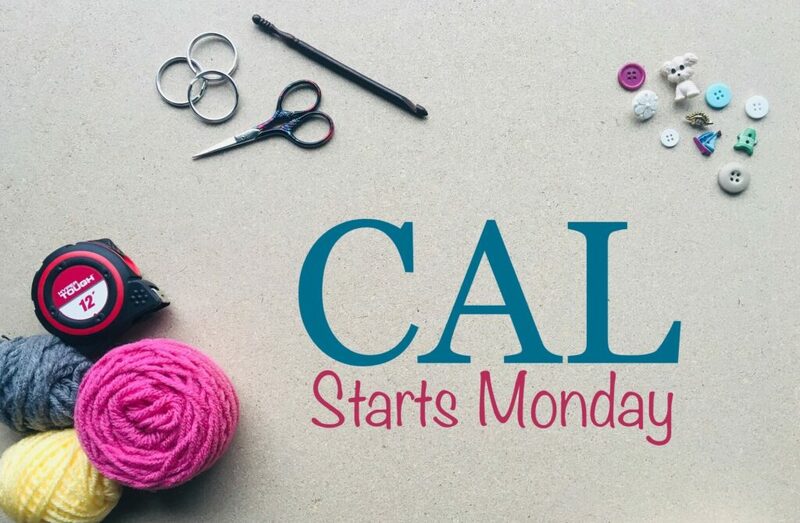 The sale is good through Monday, February 18, 2019.